An electrical panel is a major component of your home’s electricity supply system. Its primary role is to divide power feed into subsidiary circuits while protecting the circuit breaker and the fuse in one enclosure. Also, electrical panels utilize selective tripping of breakers. This means that it will isolate only a faulty circuit in the electric supply system and shut it down without tripping the whole system. Electrical panel installation in Orlando, FL is very important whether you are purchasing a house or planning to build a new one. 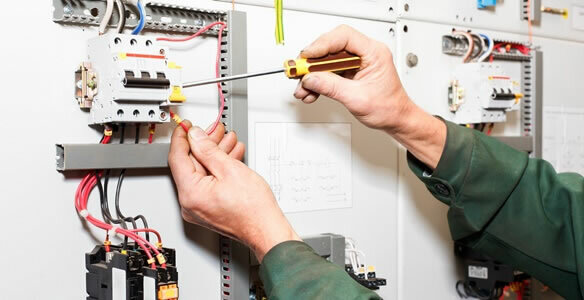 Getting an electrical panel installed in Orlando, FL is also important in protecting your home from the risk of fire due to faulty electrical wirings, overloading or short circuits. Consider the electrical panel as the heart of your home’s electrical system. If you choose to hire our services, we would ensure that your electrical panel installation will be completed in the shortest possible time without compromising the quality. We guarantee that all the electrical materials that we use follow the electrical codes of your area. Call us now, and our representative will walk you through the details of our services.